Verlyn Klinkenborg’s long poem celebrates short sentences. 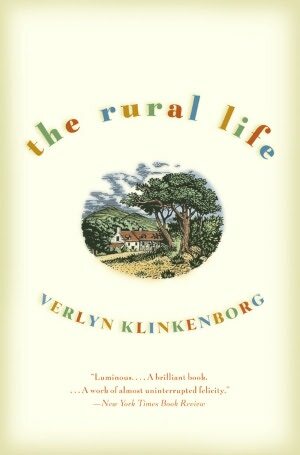 The Rural Life by Verlyn Klinkenborg. Back Bay Books, 224 pp. 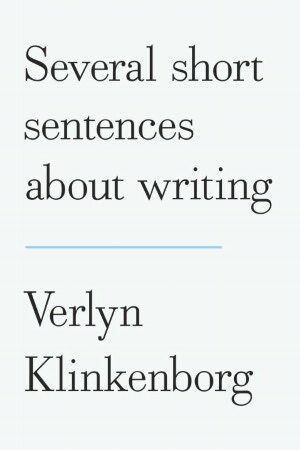 Several Short Sentences About Writing by Veryln Klinkenborg. Knopf, 224 pp. The Fourth of July steals over a small town daydreaming the summer away. 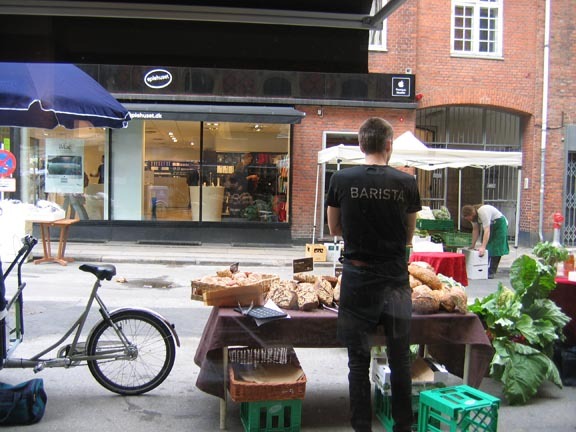 A young boy rides his bicycle in a serpentine pattern down the middle of a dusty street. Blue sky divides a broken pavement of clouds. The road out of town seems to stretch farther than usual before it fades out of sight between fields of corn or soybeans, alfalfa, or cotton. Near a railroad siding, the silence of noon is broken by the sound of a mechanic’s hammer ringing against steel in the darkness of a repair shop. An old horse sleeps in a small corral behind the drive-in. The mail fails to arrive. A firecracker goes off in the alley. It’s hard to believe that such towns still exist. Harder still to realize how many of them there are, once you leave behind the cities and the suburbs and the unincorporated sprawl and break out into the open. But in those towns the Fourth seems to come into its own, whether it’s a hamlet like Texas, Ohio, little more than a bait shop on the north bank of the Maumee River, or a place like Lander, Wyoming, where the Fourth goes off like the crack of doom. My wife gave me The Rural Life, and I avoided reading it for a year or two. I assumed it was another of those “I-live-on-a-farm-and-grew-a-tomato—aren’t I cute?” books. How mistaken I was. The book is organized by months, a new chapter for each. His activities and observations are shaped by the seasons. There’s a pleasurable lack of connective tissue; sometimes we gather that he’s traveled with his horses from the East, where he lives on a farm, to the West, where he rides and looks. Along every road, every path, a fringe of opulent grasses grew, ligules shading into lacquered purple, blades into the blue of dusk, awns into an almost roanlike coloration. In the waste clearings grew foxtail barley—supple, iridescent. Sagebrush rose along the fence lines in sharp-scented thunderheads. South of Sheridan, near Ucross, the hayfields are edged with sloughs, and in uncut pastures, yellow-headed blackbirds hovered momentarily before settling onto grass heads that dipped slowly beneath their weight. A buckskin horse at liberty in one of the unmowed fields showed only his back and ears, an island of contentment. From the time the dew dried in midmorning until full dark, the windrowers moved across the fields, following the curves of the creek bottoms and the sidehills, laying the grass out in narrow rows like the isobars on a weather map. The balers followed once the grass had dried, and for a few days birds gathered on the tops of the round bales lying in the fields, looking out over a terrain that had lost much of its softness. One might call his writing in The Rural Life not just declarative and spare but lyrical and shyly romantic. We use terms like lyrical loosely. What I presume we mean is prose about the world’s beauty in which we sense the writer’s feelings: grass blades that carry the “blue of dusk” and how harvest changes a hayfield from soft to bristly. And it’s romantic to say a town “daydreams the summer away.” Yet we assume or intuit emotion and outlook and personality from what’s on the page. Klinkenborg doesn’t tell you what he’s feeling or ask you to share it; overt emotion is restrained. So is his persona—like Joan Didion whom he admires, he’s cool. He bares his intellect, not his soul. But the content and the shape of his prose say something else is going on, too, in a way reminiscent of Ernest Hemingway’s short stories. In all that buried feeling, a love for the green earth. You may wonder, Who notices what he notices? How can I? His periodic columns in the Times are surprisingly diverse; in some of them his persona is warmer. Appreciations of John Updike and Jacob Riis and David Foster Wallace and John Lennon—and Michael Jackson and J.K. Rowling. Meditations on e-reading and iTunes and writing on computers and overly polite female student writers—and Jim Morrison and Brian Wilson. Thoughtful and generous, his concise essays are models of precision, of how to distill an elixir from the slurry that overflows your ever-noticing heart. If you notice something, it’s because it’s important. In a world where we’re trained to disregard our perceptions. . . .
Is it possible to practice noticing? And a pause in the desire to be pouring something out of yourself. In order to transmute it into words. And writing by implication should be one of your goals. Implication is almost nonexistent in the prose that surrounds you . . .
That poetry rarely possesses, an exalted plainness. As with any advice, in the crucible of your practice you must test the utility for yourself of Klinkenborg’s opinions—he calls them “conclusions, not assumptions.” But he urges wariness about all dogma, even his. Contrary to so many process-based writing theorists, including the influential Peter Elbow, he says the creative and critical functions occur simultaneously. Elbow calls writing this way “the dangerous method” because it invokes the mind’s editor at the same time as it asks for creation. Revise at the point of composition. Compose at the point of revision. Before you write it down and after. And right on through to the end. The critical and creative mind are not separate. I never write drafts. I write one good sentence to another. All writing is revision. The last piece you delete is the part you’ve been trying to save. You have no idea where you are going. I want to hear the voice of discovery. Writing is not cobbling things together. Every moment is an act of discovery. HI, Richard. Though I don’t know whether I have quite your enthusiasm for Klinkenborg and everything he says, I do agree with him about one key issues, and that is the editing as you go along. Not that I don’t ever go ahead with the usual manner of looking back over material and revising, but I do a great deal of revision in the moment of composition, just as you quote him as advocating. It’s worked better for me that way than stewing and mooning over things I’ve already written, trying to make things better that perhaps are just not good enough to start with as they are. Surely I get carried away. On my second reading, I see a few things I’m cool toward, such as his evisceration of his students’ sentences, at the end, which grates a bit and gets tedious. And I think he committed to printed paper one weak sentence: “Variation is the life of prose, in length and in structure.” I dislike the modifiers dangling off the end. Better, to me: Variation in length and structure is the life of prose. But my son says I’m not getting his wit there: he’s having the sentence embody his advice to vary syntax. I find the book very exciting overall because he comments on deep writing issues that never get noticed or discussed. Like noticing what you notice and valuing it. And his view of how one might view his readers. His emphasis on short sentences is a helpful reminder. I love long sentences that work AND are beautiful. Too many of my long sentences just work. Yes, though I think to some extent he didn’t entirely practice what he preached, and it’s a good thing for “A Rural Life” too. Here’s what I mean (and granted, I’m relying on the excerpts you’ve given). There are many longish sentences together in “A Rural Life,” and yet they are so beautiful en masse that it would make no sense at all to break them up as he advocates in his criticism. And where the sentences are short, they are very effective, as he does remark in his other book. Also, I know just what you mean about long sentences that only work: I’m stricken with that disease, too. It’s partly from having cut my scholarly teeth on Henry James’s work (the subject of my doctoral dissertation). I think my supervisor had to tell me again and again to rewrite long sentences that had things like parenthetical remarks in them in inconvenient places, either in parens or between pairs of commas. And I knew better. It was just that I had so much thought to get down on the page that long sentences were generated with almost total absence of quality censoring. I’m glad to know I’m not the only person this happens to! I don’t know Klinkenborg at all, but your review certainly makes me want to read him. Thanks, Sigrun. He has a variety of types of work, several genres, so you might find one that suits you! This is such an interesting post (as usual), Richard. Makes me want to read both books you mention. At our library book sale I recently picked up a copy of David Mas Masumoto’s Epitaph for a Peach, Four Seasons on My Family Farm (Harper Collins, 1995). I haven’t yet read it, but was drawn in by the subject, the glowing reviews on the back cover and the excellent prologue, which was originally published as an op ed in the LA Times in 1987. Seems like a book you would be interested in. Are you familiar with it? Marsha, I’ve heard of his book but haven’t read it. I probably should. For a long time I read all farming accounts, and then for a long time I would read none. Now I am working them into the mix again. Thanks for reminding me. I’m headed over to Amazon now to see if they’ll let me read at least the Prologue on line . . . These two posts have set my mind ablaze as I contemplate the ending of my childhood memoir and the next six months of revision before the mss. goes to the publisher. I love Klinkenborg’s counter-received-wisdom advice, the nonconformity to rules and practices others take to be canonical. I know I am not nearly as careful with sentences as I should be. I am always grateful when others help me notice things in a new way. I count on your blog to do this. And you do it every single time. I plan to share these posts with readers at my writer page at FB. Thanks so much, Shirley. I like his advice to read aloud and already was doing it. This summer I reworked my memoir three times, and the third time I printed it out I read the whole thing out loud. Now, I had read parts of it aloud, maybe even every chapter, but reading a couple to four chapters a day out loud REALLY helped that final polish. You can hear when something drags or when the rhythm or word choice isn’t right. The other thing I naturally started doing during my long process was counting syllables and favoring shorter words when possible. He also advises this. I don’t agree with everything he says, of course. But even our disagreements are interesting and stimulating. I find his long poem very readable and can see that he has thought hard about writing and is going very deep. Klinkenborg address writing issues I’ve never seen addressed, or rarely addressed, or in his way. Richard, thanks for this blog post. I’ve never lived on a farm or in the country but I am heading to the library now for The Rural Life. And, I love the short sentences about writing. Reading Klinkenborg, I realized that I have always written one sentence at a time and have never written rough drafts. That doesn’t mean I never go back and prune, though, but try to get it as right as I can the first time. I’m trying to learn to do that with painting–get the first stroke down right, and then the second, etc. But there I have far too many rough drafts. So glad another think-write-and-revise-as-you-go writer has come out of the closet. The process-based writing model in ascendance emphasizes brainstorming and then spewing out a draft. Interestingly, while Klinkenborg advocates thinking in advance he is opposed to outlining. He favors thinking as you go and writing toward discovery. Writing toward what you don’t know. Discovery can be felt in one’s excitement and can be felt by the reader in syntactical variation. When prose is suffused with emotion, the length and structure of sentences tends naturally to vary. Of course this knowledge can help a writer revise sections she had to gut out. Klinkenborg advises hitting a return after each sentence to see how its length and structure compare with those around it. I think you will like The Rural Life and hope you return with a report. I’m sure you’d also enjoy Timothy, his novel written from the point of view of a tortoise owned by British naturalist and minister Gilbert White. Thanks for the Kooser rec, Tom. I enjoyed his memoir, Local Wonders. Can’t wait for my River Teeth essay to appear! I will attend their conference in May . . .
I’ve been thinking a lot about sentences ever since reading these posts. I like the provocation in what Klinkenborg says — challenging, at least, to me. Also the part about noticing. Thanks for bringing all this forward. I can’t scan your posts quickly; can’t read them without note paper, pen, and being fully present. High compliment, that.